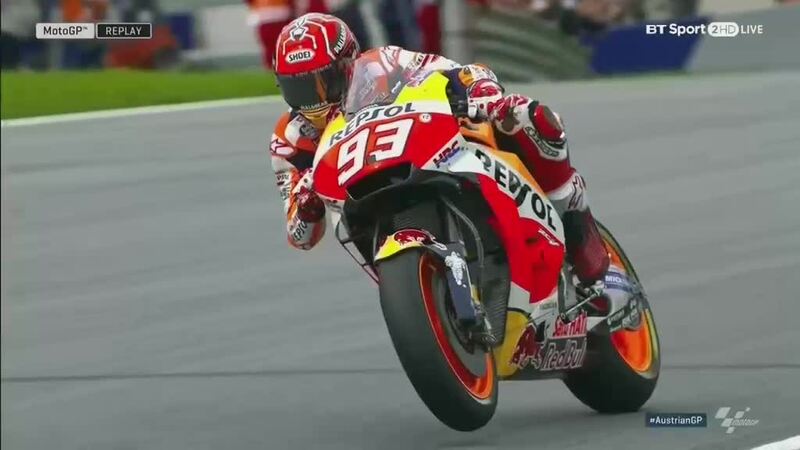 Marc Marquez (Repsol Honda Team) pulled out a surprise in FP3 at the Red Bull Ring, taking to the top of the timesheets by more than four tenths to head the direct entrants to Q2. Johann Zarco (Monster Yamaha Tech 3) was the closest challenger and topped the timesheets for some time before being deposed – with Andrea Iannone (Team Suzuki Ecstar) shooting up to complete the top three in the final few minutes. Iannone had been 22nd earlier in the session, but the 2016 winner at the track hit back with a bang. Jorge Lorenzo (Ducati Team) was just 0.025 behind Iannone to take fifth, ahead of nine-time World Champion Valentino Rossi (Movistar Yamaha MotoGP). Rossi had been the biggest name outside of provisional Q2 entry by the end of action on Friday as the ‘Doctor’ struggled with some illness, but improved quickly on Saturday morning as the weather allowed it. Friday’s fastest and pre-race favourite Andrea Dovizioso (Ducati Team) was P6, ahead of key title rival Maverick Viñales (Movistar Yamaha MotoGP). Loris Baz (Reale Avintia Racing) made it two Frenchmen in the top ten in eight, ahead of an equally impressive charge from Karel Abraham (Pull&Bear Aspar Team). Cal Crutchlow (LCR Honda) is the final direct graduate, despite a lowside crash at Turn 9 earlier in FP3.